The polar aurora is an incredible phenomenon that we should all have the opportunity to see at least once in our lives. The times of the year when there is a greater possibility of seeing northern lights are late autumn, winter and early spring, because the poles have more night hours and a completely dark sky is needed to observe them. The polar aurora of the North Hemisphere gets the name of Aurora Borealis, while the polar aurora of the Southern Hemisphere is called Aurora Australis. Aurora, on the other hand, it referred to the Roman goddess of sunrise, sister of the Sun and Moon. 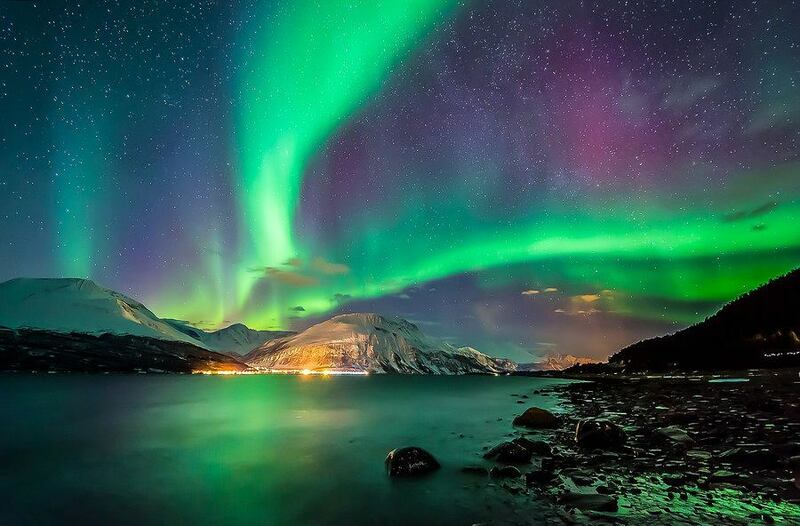 Mythology claims that Aurora flies through the heavens to herald the dawn’s arrival. With the tears she shed for the death of one of her children, the dew is created.